Aintree Grand National 2018 — The Parade Ring Share Us! What a week it has been for the Randox Health Grand National Festival 2018. The Racing Breaks team headed up to Liverpool for various different days at the races and we all had a ball. This is a blog to reflect on the highlights from the racecourse as well as some advice and information on how to make the most of your trip to Liverpool, where to dine, drink and head out after the races. Starting from the very beginning of the week, a couple of us headed up to Liverpool from London on the train which takes you into the centre of Liverpool (Lime Street), perfect to then grab a taxi or walk to your next destination within the city. We checked into our hotel, which is within walking distance of both Liverpool Lime Street and Liverpool Central Station which is where you aim for to get the train to Aintree racecourse. Our plan for the evening was to host the Aintree Grand National Preview Evening which had an amazing panel including Grand National winning Trainer Oliver Sherwood, Ruby Walsh, Katie Walsh and Andrew Thornton. The event was held at Aintree racecourse in the Equestrian Centre which is used throughout the year for various equestrian events and competitions. It was a brilliant evening with plenty of keen and interested punters eager to get a few tips for the upcoming races. We then headed into town for some food and a couple of drinks. There are lots of amazing places to see but we started down the road at Concert Square. This is the perfect spot for a few al fresco drinks with your friends (when the rain holds off). As the name would suggest, there is a cluster of bar venues within a square and a large outside seating area so that you can hop from one place to another. The first day of racing was Thursday, the Grand Opening Day for the 2018 Grand National Festival. We decided to drive into the racecourse from the hotel which was very easy. It is only when you get within 100 metres of the course that we found a bit of traffic, which is inevitable. It was a fantastic day for Champion Trainer Nicky Henderson as he won three of the Grade 1 races with We Have a Dream, Mite Bite and L’Ami Serge. The weather for the first day was less than ideal with cold winds and light showers hanging over the course all day however, this did not dampen the atmosphere as the local liverpudlians in their masses, kept spirits high with they’re wonderful charm and bubbly personalities. There was also an amazing display from the Red Devil Parachute Regiment as well as the parading of Hounds from the Flint and Denbigh Hunt. Thursday’s racing came to an end and most of the punters headed back into the city centre to carry on the frolics from the course. 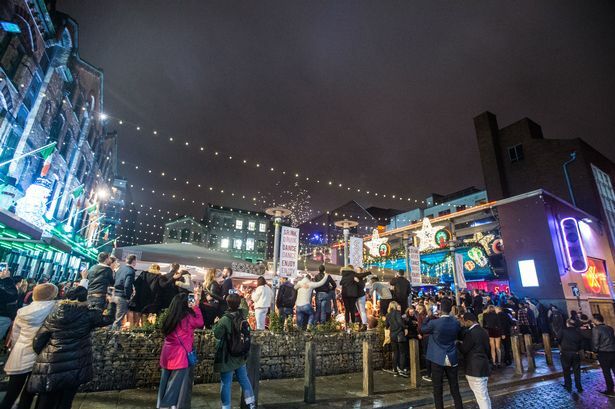 If you want somewhere nice to have a bite to eat and a few drinks without getting too wrapped up in the craziness, then you want to aim for the Albert Docks down by the water where there are plenty of restaurants and bars to relax and enjoy your evening. Friday came around, the day we had all been waiting for as it was none other than Ladies Day. This is the perfect day to marvel at all of the flamboyant and fabulous outfits which some people have been putting together for months before. If there is one thing the Liverpool crowd know how to do well, it’s dressing up for an occasion. Some are gorgeous and others, well, less appealing, but all the same, the effort that is put into some is astonishing. As the rain poured, umbrellas went up and the bars filled with hundreds of people, hiding away. This was another good day for Nicky winning another Grade 1 race with Terrefort in the Betway Mildmay Novices Chase and Santini in the Grade 1 Doom Bar Sefton Novices Hurdle. Politologue held on well against Willie Mullins trained Min in the JLT Melling Chase, this was a well deserved win for young Sam Twiston-Davies and trainer Paul Nicholls. 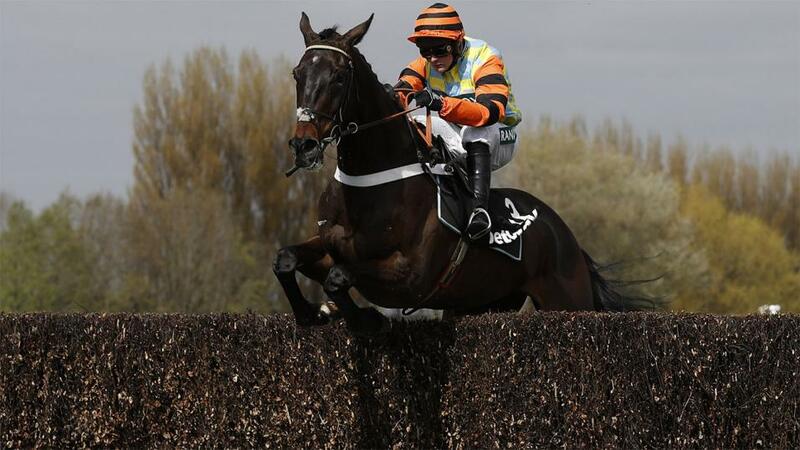 The atmosphere grows with the crowds on the Friday and keeps building as the week itches closer to the feature race day of the week and the biggest race of the season, The Grand National on Saturday. Saturday felt as though summer had finally arrived as the sun was out in full force with only blue skies to be seen. There was a real buzz in the air… this was it… what we had all been waiting for. The crowds had doubled in size from around 30,000 on Thursday to over 60,000 on the Saturday. When it came to the big race, tensions were high, nerves were racing, the paddock was full, and the punters were ready with their bet slips in hand for what is the most watched race in the world. A fantastic race with 38 runners which gripped the nation in the final furlong as Pleasant Company and the mighty Tiger Roll battled for first. There was only a nose in it and this is one of the closest finishes there has ever been in a Grand National. A superb ending to a thrilling week of racing. It honestly has a totally different feel to the likes of Cheltenham and Ascot; an event which tops them all if you ask us. Don’t hesitate in booking for 2019….join us there next year by simply clicking here. We can’t wait to see you there and #FeelTheExcitement!